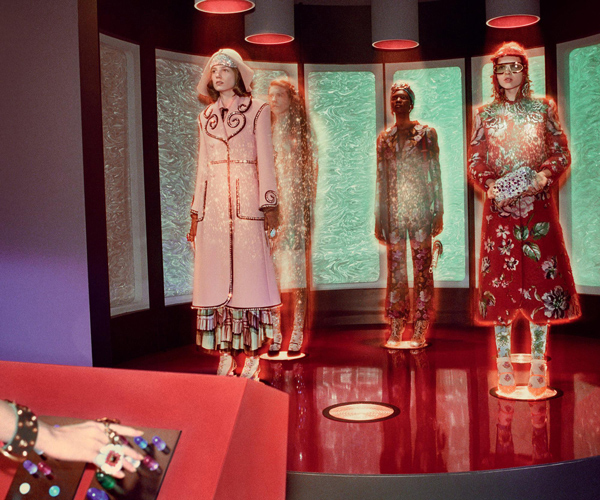 Science fiction is fashion’s new frontier. A bold way to approach new stylistic designs, the genre has been receiving creative accolades from its conception. With a platform dedicated to testing out new waters and making bold predictions, sci-fi has had a storied impact on fashion. Sci-fi’s boundary pushing aesthetic has seen its budding popularity and shows no sign of slowing. 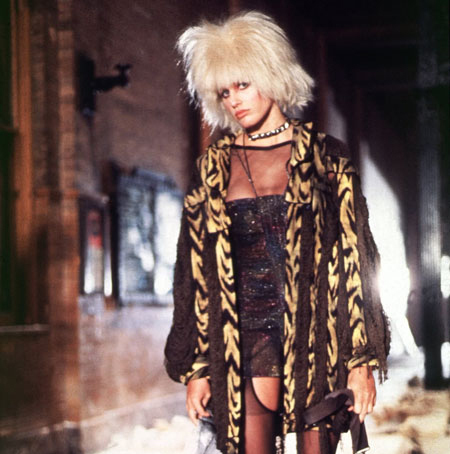 Cult films such as Akira, Alien and Barbarella have been referenced time and again whilst others have been given 21st century remakes. Such is the case with Blade Runner, a film that during the advent of Stranger Things have unsurprisingly garnered international buzz. After Gucci’s much loved Star Trek inspired campaign film by Glen Luchford, AW17 runways began to draw inspiration from the genre, paying homage with futuristic inspired silhouettes. In Raf Simons SS18 menswear show and most recently Chanel’s SS18 collection, the two debuted garments made from plastic. Both shows took to designing rain-slicked show sets, a tribute to the famous scene, ‘retiring Zhora’, where a young Harrison Ford chases Joanna Cassidy, who dons a plastic trench coat, down wet alleyways. In the closing finale for PFW, Louis Vuitton sent a Stranger Things T-shirt down the runway, amidst much applause and frenzy, further fueling our eager anticipation for the return of the beloved series. As an industry that looks 6 months ahead, the ambiguity of the future is the catalyst for creativity. There’s no better way to celebrate this than for science fiction and fashion to make its mark on one another.